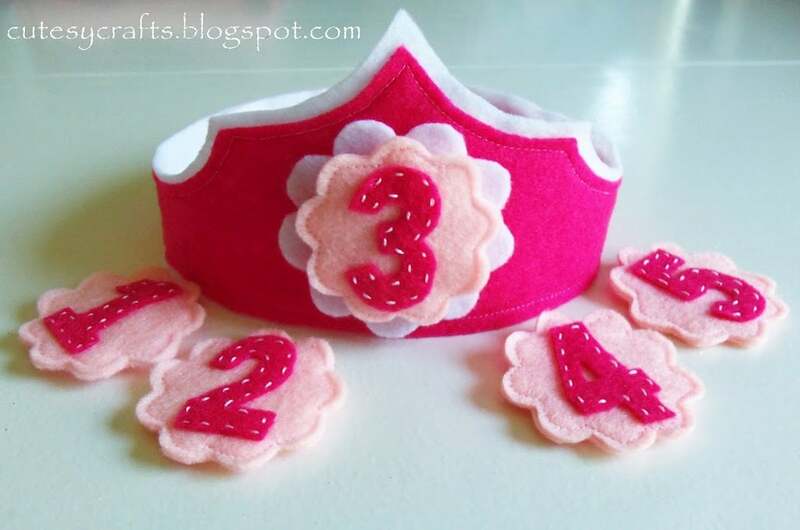 I made a few adjustments to this birthday crown that I made for my niece, and now I am ready to show you how to make one yourself. All you need is felt, velcro, and thread and/or embroidery floss. Can you tell that I like felt a lot? 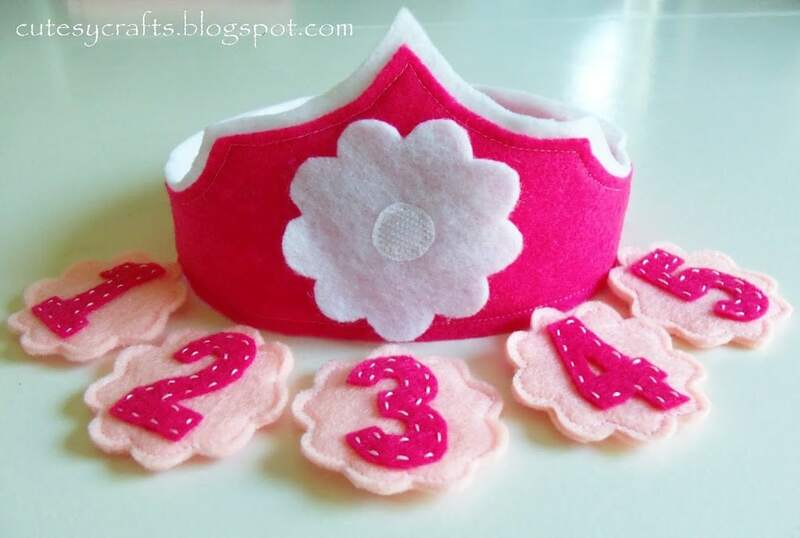 The crown has interchangeable numbers and is adjustable so that you can use the same one each year. Think of how cute it would be having a birthday photo every year with your child wearing the same crown! 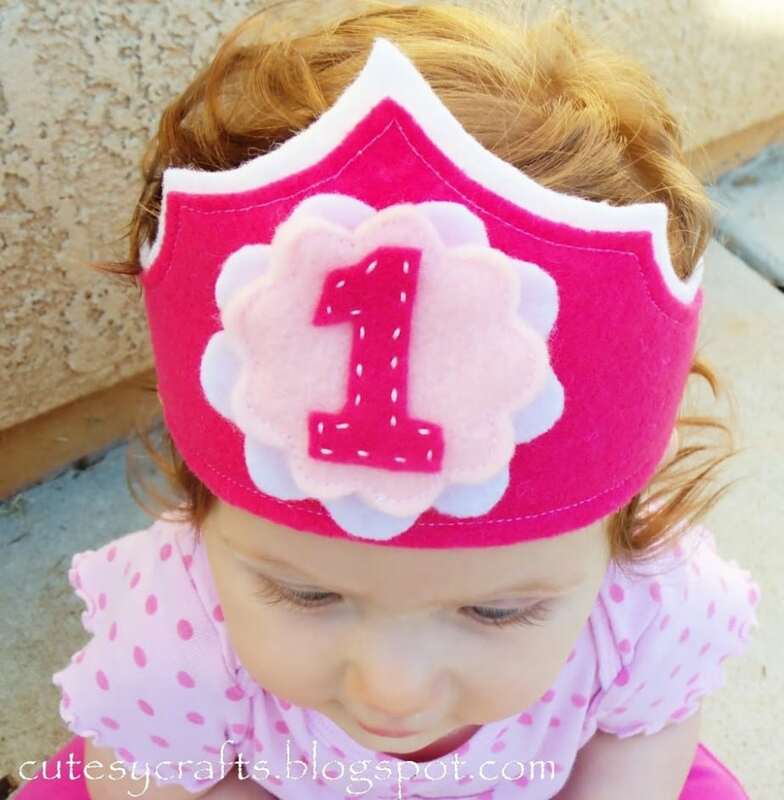 This would make a great first birthday gift, photo prop, or even new baby gift! First thing to do is print and cut out your free templates. By downloading these templates, you agree that you will not use them to make crowns to sell. You can get those here. **edit: since I sell these in my etsy shop, I decided to take down the patterns. Hope you understand. ** You will need to tape together the crown pieces since they are so long. It should be a total of 22.5 inches long. If it doesn’t print out that way, add a little extra to the longer side. 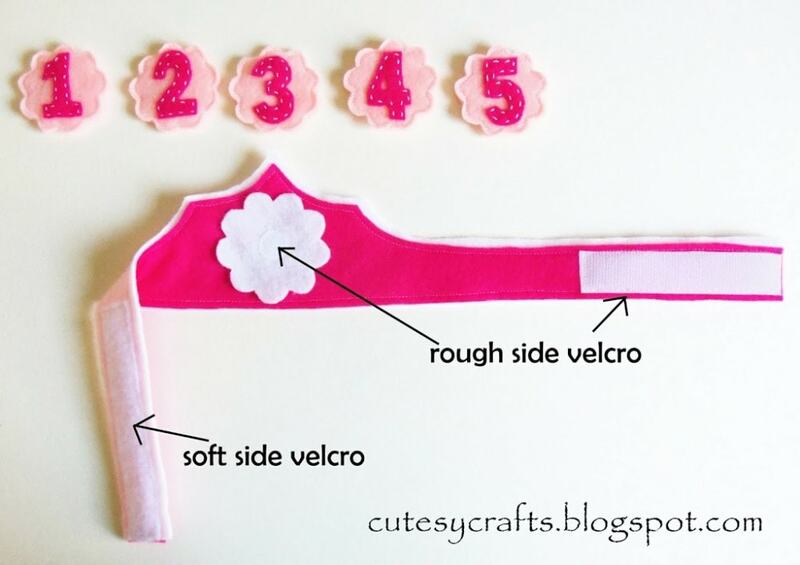 Use those templates to cut your fabric. You will need two small flowers for every number that you want to make. Stitch a number to the front of one of the small flowers. I hand stitched mine using 3 strands of embroidery floss because I love that hand-stitched look. 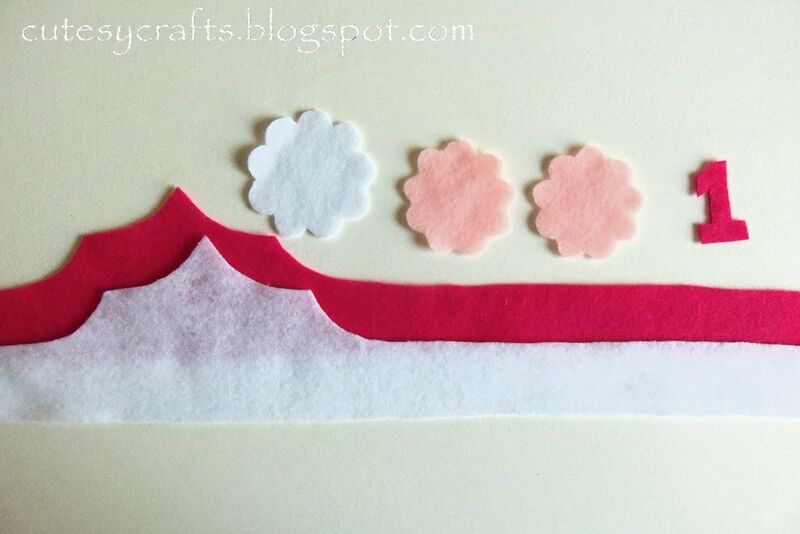 Sew a circle of the soft side of velcro onto the back of another small flower. 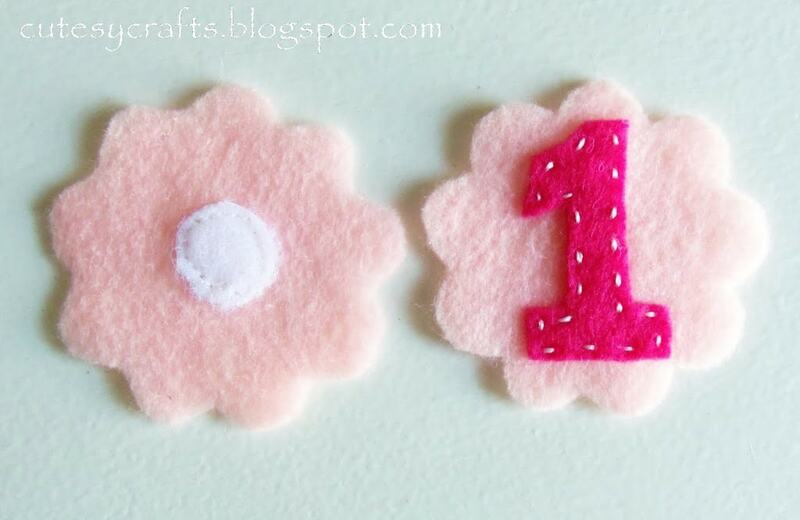 Layer the two pieces of the small flower with the number and velcro facing out. Sew the two pieces together. 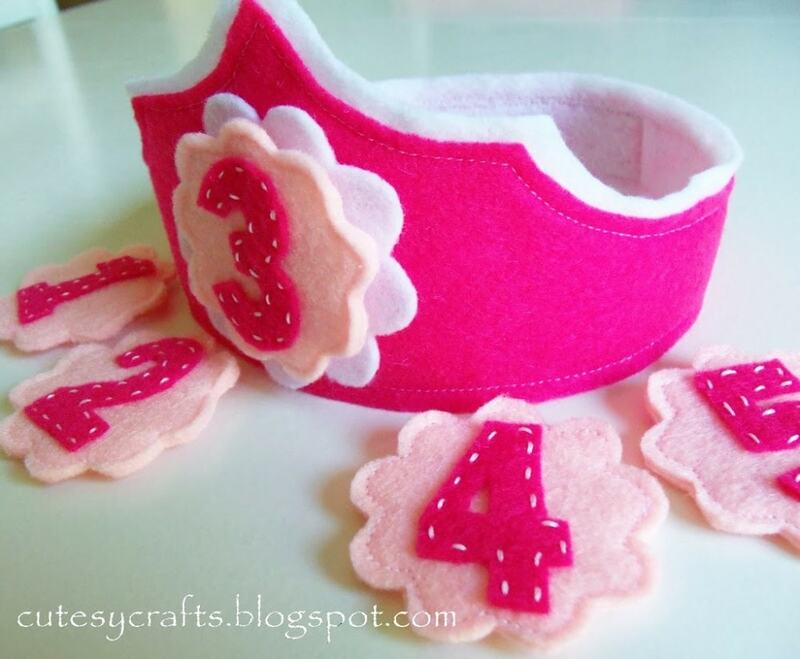 Do this for each number that you want to make for the crown. 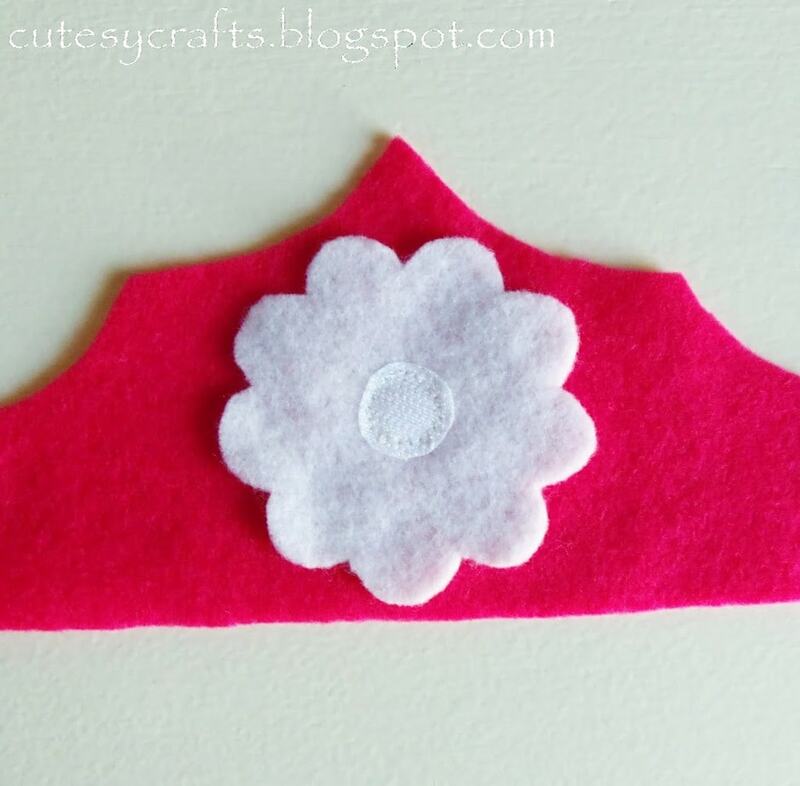 Pin the large flower to the middle of the top layer of the crown to hold it in place. Sew a circle of the rough side of velcro onto the middle of the flower, securing the flower to the crown. Remove your pins. 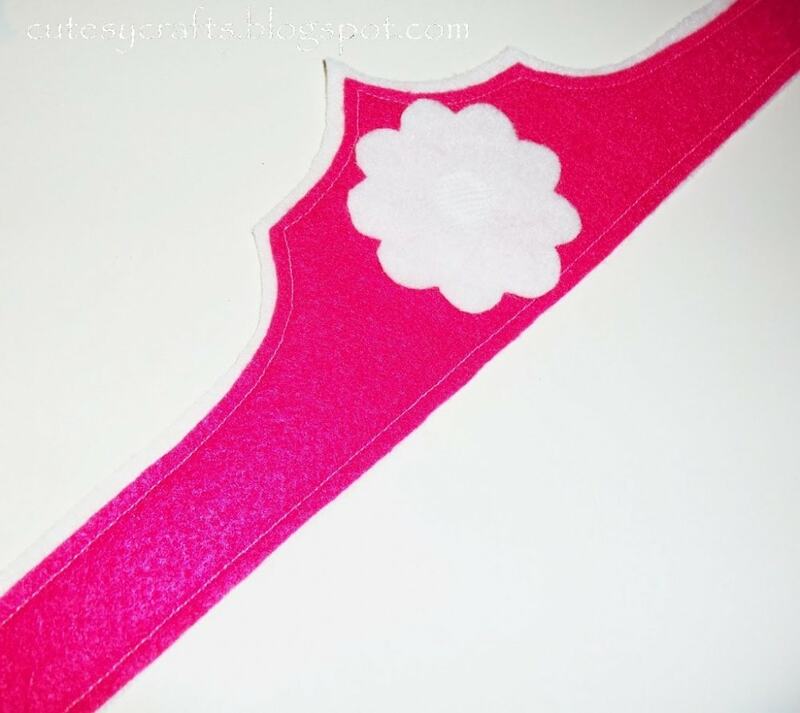 Cut 1 inch wide velcro into a 4.5 inch strip. Sew the velcro onto the crown as seen in the photo below. Cute! 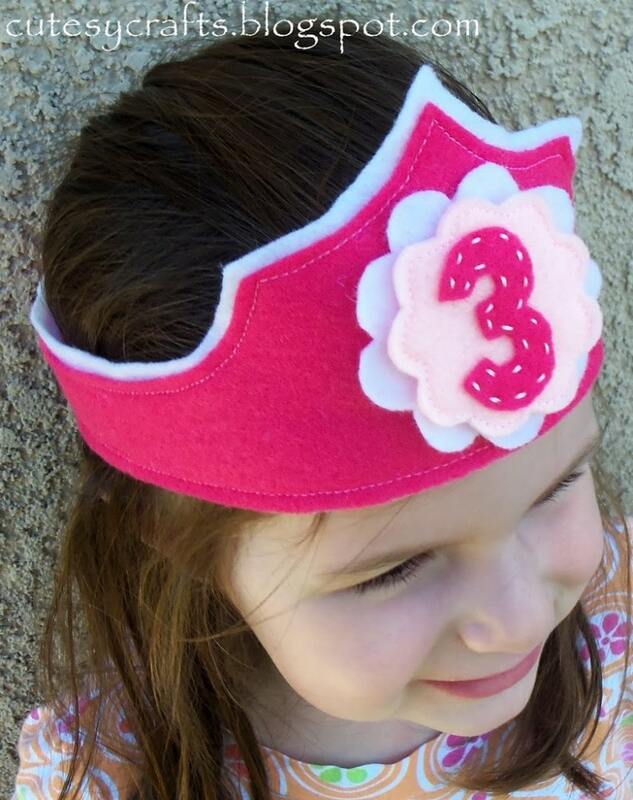 I love the interchangeable numbers – so smart! Thank you so AWESOME of you to share! Came across your blog via Pinterest. Love the interchangeable numbers! You have SUCH fun ideas! I have subscribed to your blog and hope you can be a “real” blog soon :). You TOTALLY deserve it!!! Hi Jessica. That is an adorable crown. If my little girl wasn’t 10 – I would be making one for her birthdays. enjoy you little ones. They grow so fast. so cute! love this felt crown! This is really SMART! So much better than getting a new one each year 🙂 Thanks for joining our link-up party at allthingswithpurpose.com. We are so pleased you decided to check us out!! Oh wow, I am so impressed, this is just too cute!!! I love the idea of the numbers you can change and that is so soft. Better than all the crowns you can get – may daughter always complains they hurt.. Pinned, so I can make it one day for her! Would you like to come by and share it at the Foodies & Crafties Soirée? 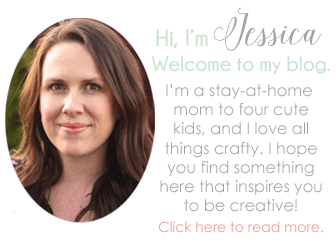 Here is the link to the party goo.gl/iLbOjP, there is also a blog hop on Pinterest this week, so you may get a chance to get new followers and be featured!